Thank you for visiting my blog. My name is Greg Battin and I live in the southern Denver Metro area. I truly enjoy working with AutoCAD as a user (drafter) and also as a CAD administrator working behind the scenes. I am happy that many people find this site helpful in their everyday use of AutoCAD. If you have any requests, please leave a comment/question and I will see what I can do for you. I enjoy being an AutoCAD detective/repair shop so don’t hesitate to get me involved. Please feel free to suggest a topic or submit any tips & tricks that you find useful as well. Now that I have officially graduated from ACC, I was just organizing some of my AutoCAD papers and came across your blog. What memories! Thanks to you, my kithen and bath and capstone were a success and I lived through them. When I think about those tutoring sessions, I sometimes don’t know how you did it, but you did and I can’t thank you enough. It sounds like you are still with your job. How is the family, the girls and your wife? I have been doing a few design jobs and enjoying them – it was definitely worth the brain drain to get the degree. Thank you so much for your kind words. I am very happy to share what I know about AutoCAD so that others might find it easier or more enjoyable to use as well. i have a question. Before I had an icon in the right top of my screen to select a standard view and to rotate my screen. It disapeared and now I can’t find it anymore. Can you help me find it. Great idea for a post. I created a new post that shows just how to do this. I have a polyline/rectangle/polygon. I’d like to divide and dimension the each segment (not whole line) of polyline/rectangle/polygon to 1220 mm (dynamic measurement as input) and apart from the 1220 mm, the remaining length should be dimensioned. I hope u understand my prob. I tried to attach my prob but no such facility here. I know you have a Lisp routine to create a Hatch, on your website but I wish to create a hatch pattern using Excel. The Pattern I have started to create is to produce circles (I know only straight lines can be used). The numbers below work as expected by drawing 5 lines. If I enter this value then the hatch doesn’t work. Why?? It appears that the size/scale of the pattern is gigantic. My suggestion would be to use the hatch creation lisp routine to get the definition that can be transferred to Excel. But create circles and then use the following lisp routine to turn them into lines. Then create the hatch pattern. The error I got when trying the above hatch definition was that it was too dense. Which was weird because I couldn’t even see anything. I was able to scale it down to its limit. Many thanks for looking Greg. I use a metric drawing with mm units. I really don’t understand why. I may try and create a hexagon pattern instead to try and work out the pitfalls I am having. I have now found the solution so will post to help other people. The problem was the way I was creating the .pat file. If you paste the values directly from Excel to a Notepad file then Tabs are inserted inbetween the Cells. Delete the Tabs and all works okay. Just started working as a draughtsman. this blog might just help me! Hi, how can Attach mutiple Xrefs to alot drawings? Is there any program or script? You can try a script with a batch processing program like ScriptPro. The thing is that you will need to define the XREFs to each drawing with its network location (path), insertion point, scale… this can be done in a script. I saw an option while in The “Design Center” (DC ) where you can drag and drop content from one drawing to another. At the bottom of the list is XREFs. I have not tried it yet but will look into it further. This blog is Awesome! So many cool lisp routines; some that i will for sure use being in the piping design field. Can’t wait to see more posts! Thanks for stopping by my blog. I too work in the “energy & checmicals” (oil & gas) industry. I just found your web site. I’m having a problem I can’t solve. I’m still using Auto Cadd 2004, and when I get a drawing from a certain client, the mtext looks like, and plots like, a solid block. I’ve tried many things to fix it, including….Fill, Qtext, Imageframe, Textfill, Shademode, Textmask…..The only thing that works is exploding the mtext, but not the best fix. Any suggestions? 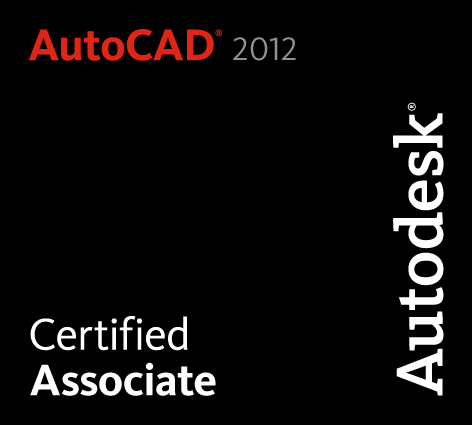 I am a new user to AutoCAD and am using 2013. Even after reading about it I don’t understand why in model space paper space, I have trouble with dimensioning. I create a one to one model and then from a layout tab I load a customized boarder (one to one) with some attributes in the title block. Next I create a viewport and select model space. Then I zoom to the object or part I want to detail and set the viewport scale using say 0.25xp for three-inches to the foot. After this I set the viewport back to paper space to make the viewport smaller, usually and move the whole shebang to where I want it in my boarder. Then, based on the viewport scale I am using I set the DIMSTYLE and/or DIMLFAC say for 3”=1’-0”. Eager to lay down a barrage of dimensions and shop notes I select horizontal or vertical from the ANNOTATE menu. And boom – the dimension appears as the model space scale one to one. At this point I run DIM and do an UPDATE which then puts the dimension into the proper scale based on my DIMSTLYE or DIMLFAC setting. But why do I have to then re-touch every dimension? It should automatically dimension to scale-right? Where’d I go wrong? actually i have a very big project using the same floor design . in some cases i have to mirror the xref BUT the problem is that the text mirrored also. i try mirrtext command to solve the problem but nothing happened. is there is a way or Lisp to mirror Xref’s without mirroring text with it ? Thanks for the question. Unfortunately, this a common issue that there isn’t a solution to. I have checked many forums and can’t find a proper work-a-round or custom program that fixes mirrored text in an XREF. Below is an official response from Autodesk. I’m not sure I am writing my comment in the correct spot. If not, my apologies. I am looking for a tip on how to solve an annoying problem that just mysteriously popped up. I am using AC 2013 and, out of nowhere, my keyboard aliases don’t work. Ex: When I type m for MOVE, I get MADD. When I type co for COPY, I get COLOR. If I turn off ‘Auto Append’, and try it, I get ‘UNKNOWN COMMAND’. In this post I show how to use this command and create a new alias. I would be interested to see if creating a new alias using this metthod would make the pgp file kick in. Thank you, Greg. I tried it but it didn’t work. It seems I am missing the pgp file in the ‘Users’ path. The one is Program files is there, but I need the other one and it’s gone. I’m tempted to copy the file from another computer to a shared drive and then copy to my computer. if your real acad.pgp exist in the right place and all command aliases are ok. and still your AutoCAD reading wrong your commands. from my near experience i found that there is another pgp file exist in AutoCAD support files. when i delete it every thing become in the wright way. Hi Greg, I like your blog. I read, you like routines that ease works with layers… so do I… Try this, you might find it useful, because i love it. I must work with drawing that has hundred of layers and many layouts where are those layers filtered by vpfreeze. Autocad has many functions that makes the work with layers easier. I tried all of that, but eventually I end up with layer isolation by Kent Cooper, layerunhide, layon atc. Work with Layer States is not comfortable… Whatever. For long time I have been thinking of finding/creating routine that applies layer state based of viewport vpfreeze state to model space as on/off layers. This is awesome. I just tested it on a small test drawing. I will test it tomorrow at work on a large drawing. It works great. Do you have a link to the Jeff Mishler routine? I agree that working with layer states and filters can get confusing especially when multiple people are working on a drawing and there are hundreds of layers. I made little change in it, thats include to previous link. 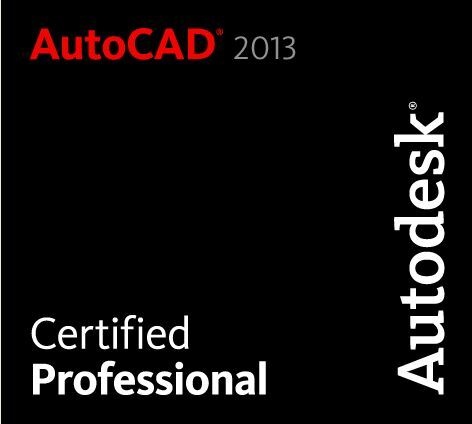 How can I load the Autocad Mechanical command AMCENIBET in Autocad 2013? My question ist, which software you use to view film or picture of your trials? I use “Snagit” for pictures for my blog. A while back I used to post animated gifs, but when WordPress switch to have the ability to continuously scroll down in a blog, some animated gifs would not show any longer. I miss doing those because it was a great way to display what I was trying to teach in my post. I have a question. We have a lisp routine that changes mtxt to mutileader txt, which works just as you defined on your blogs. However, we would like to add another command or step to the lisp. Instead of having lisp change the objects being converted to the current layer is there a way to keep the objects on the particular layer they are on? Thanks for any help. I want to know, How I can Project (copy perpendicularly) any selected cogo points onto a polyline from both sides of the polyline. I WANT TO KNOW, HOW TO CHANGE THE ISOMETRIC DWG TO DIMETRIC DWG. This is interesting, but it appears that AutoCAD doesn’t allow for changing the isometric angles to define your own “Dimetric” angles. I did find the following link which you may have already found as well. All it does is set the view of 3D objects to be dimatric. I like to commend you for a great AutoCAD site. I also have a AutoCAD site with tips. It has both 2D and 3D tips. There is also a section with 3D tutorials. I am on page 1 in Google search index. Sure – I don’t know what you mean to “exchange links” but that’s fine with me. I mean that I will put a link on my site, pointing to you site. At this present moment, I am seeking meaningful links from quality websites just like yours, for a current project on behalf of http://www.cad-architect.net. As you will see, this is based upon a similar theme to yours and does in my view, offer added value content for web site visitors. Description: CAD resource library of over 6500 AutoCAD symbols, details & drawings for Architects, Engineers & draughtsman. I think that you blog is greatly needed since I am asked about ACAD for MAC quite a lot and I don’t know how to answer the questions – so your blog will be a great place to direct people. Thanks, I appreciate it. I may steal that beggar line as well; quite clever. Yeah, I was trying to fill a bit of a need for Mac users who use CAD products. There are a few but they don’t focus on using a Mac on a daily basis for CAD work. There are other tools / apps we have to use as well in our daily workflow so I try to find articles I think will be relevant and collect them. Fun for a hobby, anyway, lol. Congratulations for your blog, it´s very interesting. I take? I hope your reply. Thanks for all. Found this site very useful. in what app do you use to make this animated gif, in my software i get low quality gifs , especially when recording from autocad . i would like to make some demos this way too. I just have a question and i think you the man for it. In Layout 2 I have the same as Layout 1 but there i divided the map. Now i want to make Layout from the divided map. I divided in paperspace. So is it possible to create a viewport from a layout? So i can see in layout 3 -4-5-… only one piece of the map. Are the divisions that you made in Layout 2 made of lines/polylines in Paper Space or Model Space? I would suggest that the divisions are made in Model space so that after you make your view port, you can activate the viewport and use the zoom tool and then pick the 2 corners to define the zoom of the area that you need. I hope that makes sense. I will check back in to see if you respond with a solution or another follow up. Hi Greg , your lisps are very useful to me , if you can add my free lisp page to your “website links” i will be very thankful , im sure you will find great lisp there too. I have AutoCAD 2009 all of the sudden I have an error message that says the ribbon does not have any tabs or panels currently loaded how do I fix that? Switch your workspace to another one like “3D Modeling” and then switch back to your normal workspace. Sometimes the CUI file needs to be reloaded and this method forces it to load. I have issues with my dimensions changing to decimals and recently, it has been changing them to japanese or Chinese symbols. (Crazy, right?) They change when I print for some reason. When I close the file and reopen it, I double click on them and then they change back to the original numbers. What can I do to stop this from happening? It is a huge waste of time and paper to keep searching for these errors.